The website will not be available on Sunday, December 22nd 2013 from 12:00 AM to 6:00 AM EST due to scheduled upgrades and maintenance. System Requirements Forgot Password ? 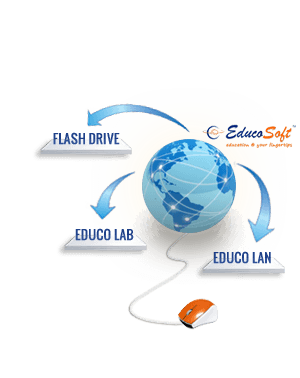 It is a compact and streamlined version of EducoSoft Courses that does not require an Internet connection. This winter release brings several feature upgrades and enhancements in assessments and other modules including solution upload questions and popular course co-requisite model. Great system, allows you to understand a lot of things that you can't understand during class, you have time to correct mistakes, and learn from them. Dr. Man M. Sharma in 1985 to provide quality education tools, products, and services globally. Our Vision is to provide quality education solutions accessible anytime, anywhere Internet service is available. Copyright 2018 Educo International Inc.
feedbacks and suggestions using our Feedback form.